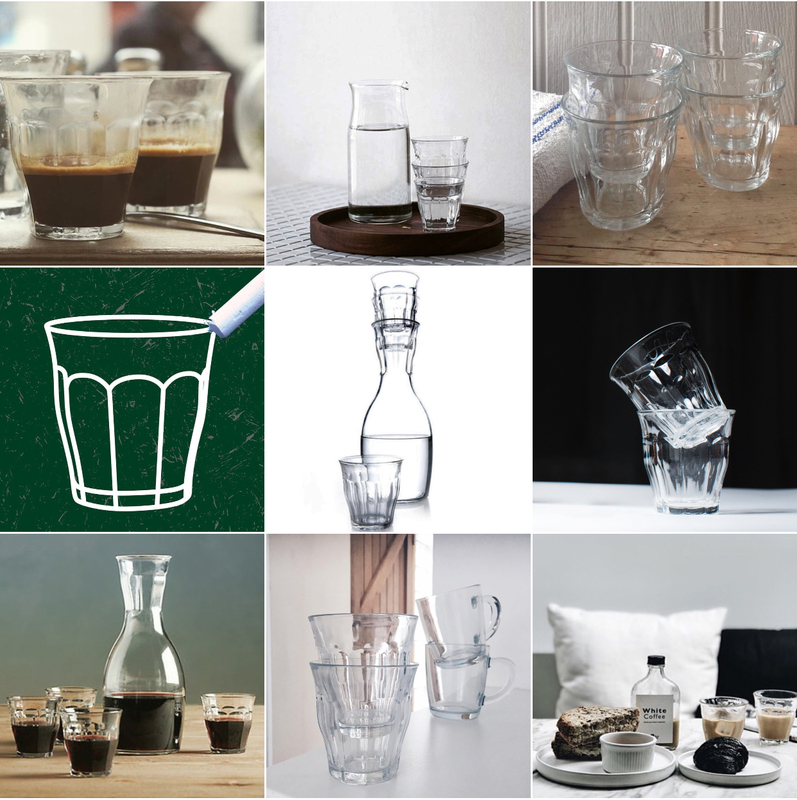 100 home must-haves: number 1 Why this French classic is the only glass you need at home: good for everything from a fine red wine to steaming hot coffee via ice-cream and iced sodas, the ‘Picardie’ tempered glass tumbler is a tableware icon. Eternally modern, well-designed, practical, virtually-indestructible, beautiful and affordable, what’s not to love! But what’s its story? The adventure begins in the 1930s when Saint-Gobain, a company renown to this day for being innovative with glass, took over the La-Chapelle-Saint-Mesmin factory, near Orleans. Originally a maker of vinegar bottles, by 1945 the company decided to turn its expertise to tableware, and the Duralex brand was born. Yet while its emblematic chic simplicity prospered through the laissez-faire 60s and 70s, by the 90s the zeitgeist was against it as consumers wanted more ostentatious items that spoke overtly of conspicuous consumption, not pure utility and function. Nevertheless, proving that a good brand will always traverse the vagaries of trends and style, although it was subsequently passed through a number of different owners, today Duralex has once more found an appreciative home, the respect it deserves and crucially the investment it needed. 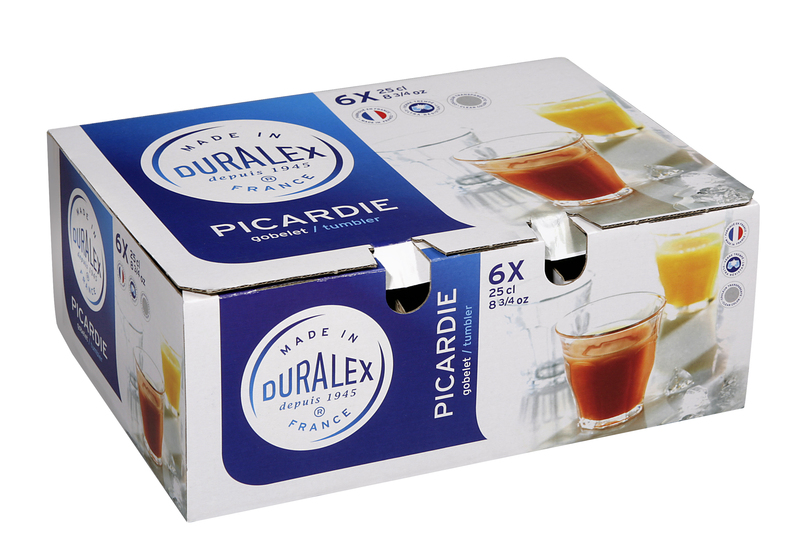 For me though, although some interesting new designs and colours have been introduced, the ‘Picardie’ is still the definitive Duralex tumbler; the stylish person’s one to want. And the only glasses I have at home. OK, but what’s tempered glass? This basically means glass that’s been made in such a way that you can pour boiling water straight into it with no fear of it shattering because the glass is, to use tech speak, “capable of enduring thermal shock up to 130degrees”. It’s also microwave safe, freezer safe, and conveniently dishwashable. Where does the ‘Duralex’ name come from? It’s inspired by the strength of the glass and is taken from the Latin motto, “Dura Lex Sed Lex” (The law is tough, but it is the law). 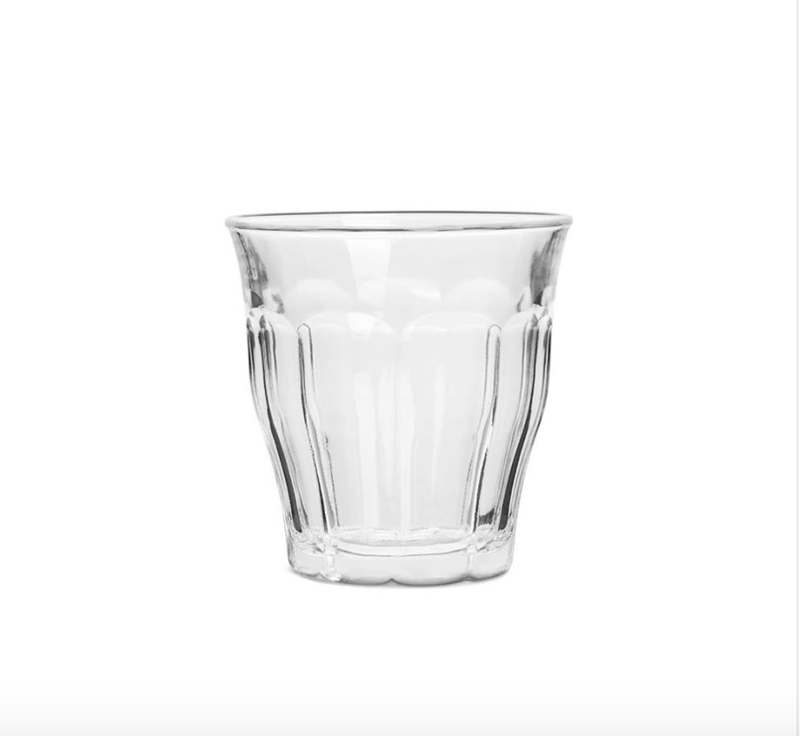 Was the ‘Picardie’ the first ever Duralex glass? That honour goes to the ‘Gigogne‘ tumbler which was introduced in 1946. If you’re of a certain age, this will be the one you would have drunk milk out of at school. I love this one too, however its basic form definitely connotes canteen to me, unlike the rather more sophisticated sculpted shape of the ‘Picardie’. Duralex packaging: a charming mix of the contemporary and retro. Do Duralex only do glasses? Nope, there’s also the ‘Ovenchef‘ range of super chic and simple ovenware, that’s been super-strengthened so it can literally go straight from the freezer to the oven at temperatures of upto 200 degrees! 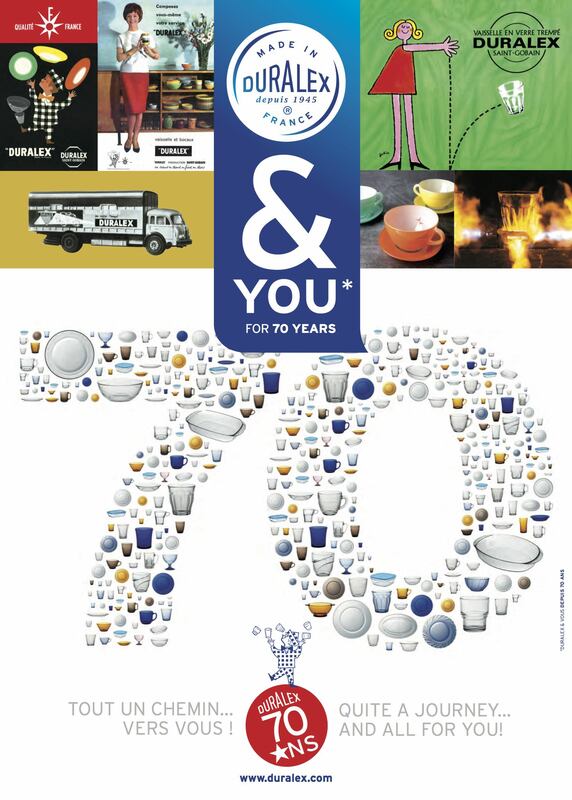 The ‘Picardie’ tumbler comes in eight different sizes from 9cl to 50cl; also frosted and blue versions. However, I prefer the clear glass, slightly chubby, 31cl option. At this size, it’s usually priced at around £8 for six. Bargain! Caveat: if buying online, check carefully what size you’re buying or else you could end up with a set of six shot glasses. Lovely ones admittedly, but a touch too small to be the everyday essentials which this ‘Things’ series is all about.